From May 4-6th activists in France with the support of the Decolonial International Network (DIN) are organizing an international conference with the title Bandung of the North in Paris in the spirit of the 1955 Bandung conference. The English version of the program can be downloaded here. Below is the manifesto of the conference. “This is the first intercontinental conference of coloured people… in the history of mankind… It is a new departure in the history of the world that leaders of Asian and African people can meet together … to discuss and deliberate upon matters of common concern. In spite of diversity that exists among its participants, let this conference be a great success. Yes, there is diversity among us. Who denies it? … What harm is there in diversity? .. This conference is not to oppose each other.” With these words Indonesian president Sukarno opened an international conference entitled “Let a New Africa and Asia be Born” in the Indonesian city of Bandung in 1955. It was the first international meeting of head of states of countries in the Global South. 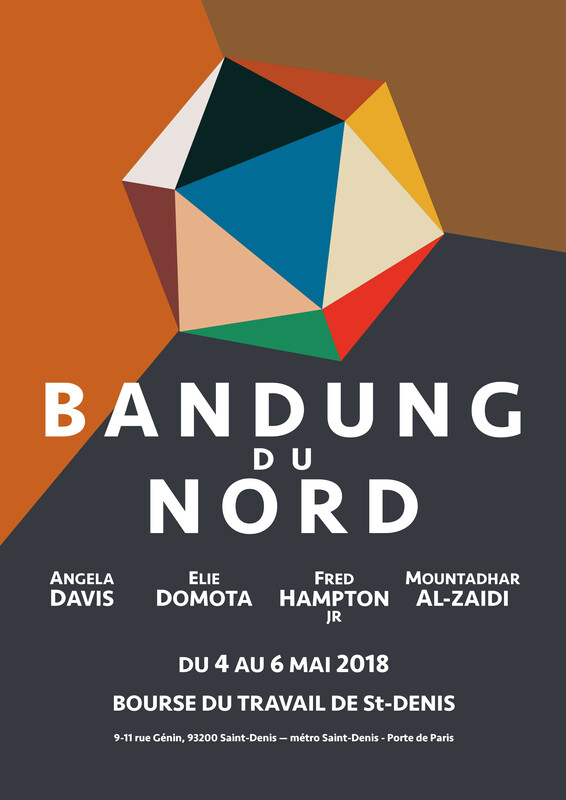 From May 5-6 2018 the Committee of the Bandung of the North will organize an international conference in Paris in the spirit of the 1955 Bandung conference. It will be the first international conference of coloured people that takes up the issues of people of colour who are living in the Global North to discuss matters of common concern. The “Global North” refers to countries of Western Europe, North America and Oceania that colonized Africa, Asia and the Americas among themselves. Nowadays, large communities from the Global South live in their metropolis. Out of 800 millions living in these countries, an estimated 160 million are people of colour. They confront racism in every sphere of life as a daily reminder of the continuation of the legacy of colonialism. Racism not only manifests itself in discriminations on the basis of skin colour but also on the basis of religion, origin and culture. Racism is rooted in economic, social, political and cultural institutions. Racism can also be found in health, housing and at work where people of colour systematically lagged behind white people. Racism is translated into social segregation. It is manifest in a political system that deprives people of colour of speaking their mind and impose a dominant narrative about terrorism that facilitates the rise of a police state and targets people of color. It is manifest in a culture that promotes the concept of the superiority of the West and the inferiority of the rest, enforces assimilation, and instrumentalizes diversity. The communities of colour in the Global North present a diversity of historical experiences: indigenous genocide and land theft, trans-Atlantic enslavement and other forms of forced migration, current migration due to colonial wars and increased poverty and inequalities. In return, they have diversified social movements and offered their own narratives about their oppression and exploitation. The 2018 conference Bandung of the North wants to create a space in which activists of these movements can meet, get acquainted, learn from each other and develop common projects and campaigns. The conference is about sharing of experiences and analysis in the plural societies of the North. It aims to facilitate common projects and campaigns. The conference will have plenary session with four keynote speakers: Angela Davis, Fred Hampton JR, Ramon Grosfoguel and Eli Domota. Different workshops will explore different themes from the rise of the police state to the relationship between social movement from black, indigenous, Roma, Asian and Islamic communities. The organizing committee of the conference is a joint venture of the Decolonial International Network and activists in France. Information about the conference ca be found here: http://bandungdunord.webflow.io/. Watch part of the 1955 Bandung conference.